Duncan Jones has been busy working on his fantasy epic, Warcraft, based on the beloved computer RPG, and amidst the panels of San Diego Comic-Con, he had an opportunity to showcase his project to the fans. While those in Hall H got to see some new footage and hear details about what’s coming, Legendary unleashed two new Warcraft Comic-Con posters revealing two new characters: Durotan of the orc Horde and Lothar of the Alliance. Take a look. Legendary partnered with ILM to create the orcs in a similar style to how the Hulk was created in Avengers: Age of Ultron. Here we see one of them. Toby Kebbell previously had experience with motion capture for Rise and Dawn of the Planet of the Apes, and here he suits up once again as Durotan. He’s the protagonist of the orc side of the story and he’s the Chieftan of the Frostwolf Clan, battling to save his people from extinction, but that could mean the end of another race of people. 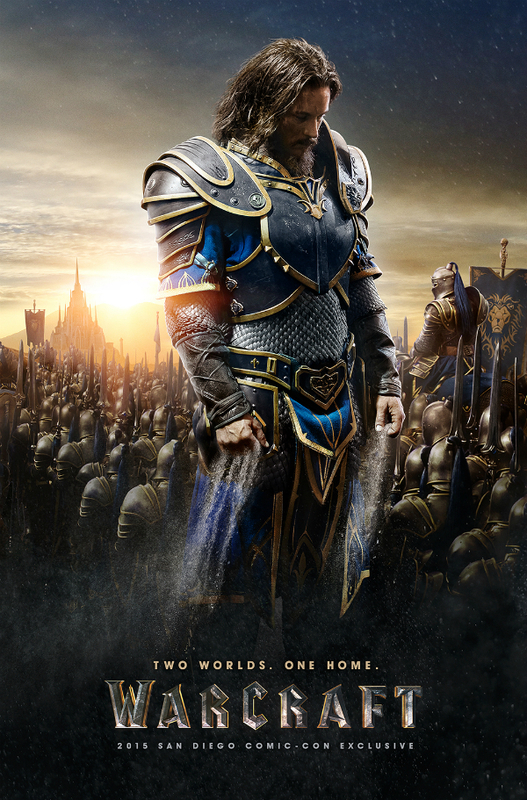 Enter Anduin Lothar. Played by Travis Fimmel, he’s described as a war hero who has sacrificed everything to keep the people of the realm of Azeroth safe. He’ll face his biggest challenge yet when the orcs arrive. The official plot for Warcraft tells of the orc Horde fleeing their dying world in the pursuit of another. When a portal opens up on Azeroth, they attempt to colonize the land, but at the expense of its current inhabitants. What ensues is a war between the Horde and the Alliance of men. Supporting Lothar on the side of the Alliance are Dominic Cooper as King Llayne Wrynn, Ben Foster as the mage Medivh, Ben Schnetzer as the mage Khadgar, Ruth Negga as the Queen of Stormwind Lady Taria, and Paula Patton as the survivalist warrior Garona. 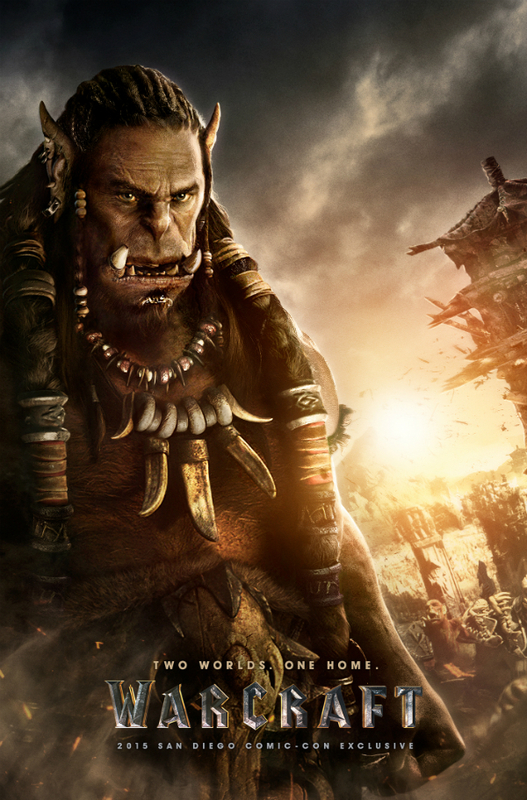 On the side of the Horde are Rob Kazinsky as Durotan’s righthand man, Orgrim, Clancy Brown as Blackhand "The Destroyer," and Daniel Wu as supreme orc ruler Gul’Dan. Though the film was arguably outdone by the likes of Star Wars: The Force Awakens, Deadpool, and Batman v Superman at the panels, Warcraft was a major focus of the exhibition floor. A massive display showcased the film’s glistening armor, to be worn by the Alliance soldiers, as well as a massive statue of Orgrim laying down his hammer on fans trying to snap a few photos. Warcraft opens in theaters on June 10, 2016.